Though the organization participated in preparatory meetings for next week’s World Humanitarian Summit, Kimse Yok Mu (KYM) was inexplicably not invited. In an interview with NGO Advisor, KYM ‘s CEO Ayşe Özkalay explains that the prominent Turkish NGO has hope that the WHS will deliver on its promise of a realistic global humanitarian agenda. Jean-Christophe Nothias (JCN): The World Humanitarian Summit, the first meeting of its kind, is fast approaching. As you know, it is taking place in Istanbul. As a Turkish NGO, what results are you hoping to see at the Summit? Do you see potential for positive, concrete outcomes? Ayşe Özkalay (AO): The WHS has given hope and support to many stakeholders around the world at a time where we’re seeing a high level of humanitarian crises. It has underlined inclusiveness by giving many stakeholders the opportunity to raise their voices. In that sense, the Summit has galvanized organizations like Kimse Yok Mu to reconsider their place in the humanitarian field and prepare themselves to meet rapidly changing humanitarian needs. At Kimse Yok Mu, we sincerely hope that this Summit will achieve its goal of presenting a realistic global agenda for humanitarian action and present a road map for humanitarian actors. There is definitely potential for positive outcomes, but the biggest challenge will be to come up with an integrated humanitarian agenda. 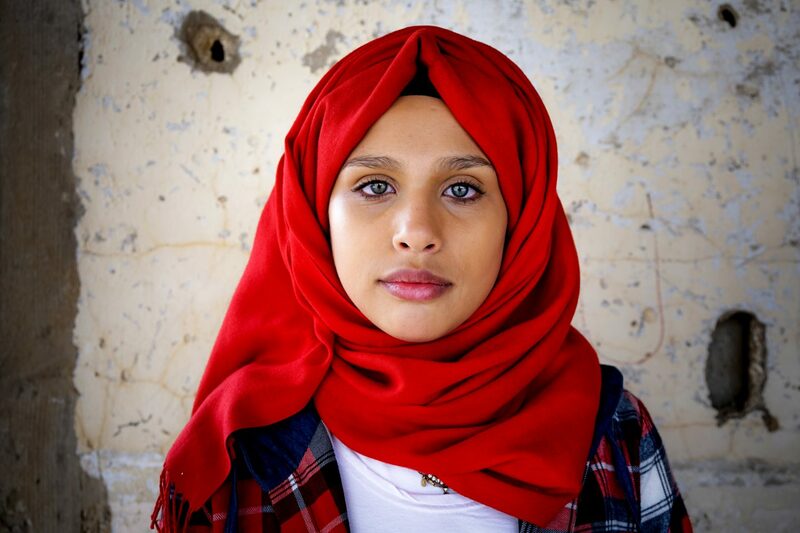 As humanitarian actors, we all have very different views and experiences. What we need is an integrated and precise model aiming at concrete and positive outcome along with systematic and meaningful change. JCN: As you know, MSF has decided to pull out of the Summit. What is your view of MSF’s decision? AO: As a major humanitarian actor, MSF significantly contributed to the preparatory discussions and indicated its strong motivation to support the initiative. Their disappointment and decision to pull out of the Summit sends out a very powerful message to the humanitarian community and provokes us to question our attitude. The question of whether WHS is helping to minimize the responsibilities of governments and ignoring their specific duties is a critical one. Putting all the stakeholders with different capacities on the same level will not help to reform humanitarian action. We share some of their concerns, especially in terms of the lack of attention given to emergency response. Unfortunately, the prioritization of political concerns over humanitarian needs significantly shapes international humanitarian response. However, we still maintain our faith and hope that WHS will take these concerns into consideration. JCN: Over the last year, Kimse Yok Mu has contributed in various ways to the preparation of the Summit. Notably, you were present at the preparatory meeting in Geneva in October. Why then is KYM not one of the 5,000 Summit participants? AO: We do not have an answer to this question. Kimse Yok Mu has been committed to achieving humanitarian ideals and goals designated by the UN since its foundation. It has proved itself as an effective organization in more than 100 countries around the world. The WHS presents a unique experience to many stakeholders in that it attempts to give a voice to all of them and emphasizes the significance of their contributions in achieving reform in humanitarian response. It has always highlighted the inclusiveness of the initiative. It is surprising that, as one of the major civil society organizations in Turkey and one that has provided significant humanitarian aid to tens of thousands of Syrian refugees since 2011, we are being left out of the picture. JCN: KYM works in many countries around the world, but arguably your strongest presence is in Turkey. You have taken an especially strong and visible stance regarding Syrian refugees. How does your contribution to the preparation for the Summit reflect your position on the Syrian crisis? AO: We are a young NGO. We were established and developed thanks to the incredible support and solidarity of Turkish people. Our vast international experience over the years has helped us to understand and respond to humanitarian needs in the best possible way. Our dedication to end human suffering, reach every vulnerable person, meet their needs, create sustainable change in their lives, and respect human dignity at all levels is well reflected in our projects for Syrian refugees. We have reached tens of thousands of refugees around Turkey thanks to our wide volunteer network. We’ve helped found temporary education centers for thousands of children. Kimse Yok Mu has spent more than US$20 million for Syrian refugees in Turkey. This money does not come from international funders or governments. It comes directly from Turkish donors and volunteers whose incredible push has allowed us to carry out projects with less than 10 percent running cost. This year we were not able to enjoy the same level of support because our right to collect donations without prior permission was taken away by a Turkish cabinet decree. We are now required to obtain government permission before each fundraising activity. Since the process of acquiring permission is notoriously slow, this seriously diminishes KYM’s ability to conduct legitimate humanitarian activities. JCN: How has your financial independence from the Turkish government affected the organization? For instance, in the nearly 10 years since KYM was founded, your organization has had over 200,000 volunteers in Turkey alone. Do you think that your reliance on volunteers arises in part because of your financial situation? AO: Independence is one of the core values of Kimse Yok Mu. Since its foundation, Kimse Yok Mu has been an autonomous organization and rejected any political or ideological interference. This has been made possible by our generous donors and exemplary volunteers, who are not profit-oriented. The financial independence from the government is important for Kimse Yok Mu to maintain absolute freedom in its projects and to reach out to anyone in need around the world. Up until 2014, when we started a project, we sought support from individual donors and organized campaigns for relevant projects. Now, we cannot organize any fundraising campaigns because our right to collect donations without prior permission has been withdrawn by the Turkish government. The contributions from thousands of donors have made it possible for the organization to be free from any political interference. The strong link with our volunteers has enabled the realization of projects worth hundreds of millions of euros. Projects would drive higher levels of commitment from volunteers beyond our expectations. JCN: Do you think that some of the funding from the EU-Turkey deal should go to Turkish NGOs? Has the EU been in touch with Kimse Yok Mu or any others Turkish NGOs in this regard? AO: Yes, some of the funding should go to Turkish NGOs, which are independent, transparent, motivated solely by humanitarian need, and have proven themselves to be efficient in understanding and providing what refugees need. Since 2011, Kimse Yok Mu has raised over US$20 million for the Syrian refugees, thanks to the great spirit of people in Turkey. Until the end of last year, our funding model included announcing a project, collecting the required amount of donations from individual donors rather than seeking support from major donors, organizations or governments. Kimse Yok Mu has never received funds from the Turkish government. We consider this to be one of our strongest points, because this allows us to be truly committed to the core values of the organization. 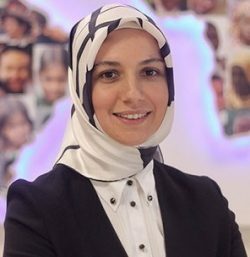 Ayşe Özkalay has been the president of Kimse Yok Mu since December 2015, following two years as the vice-president of the organization. Mrs. Özkalay received her degree from Vienna University of Economics and Business in Austria and worked as a translator after getting language training in London. She is currently writing a weekly column for a national newspaper. She is a member of the board of directors for Business & Woman Association and Istanbul Dialogue Association. See KYM’s profile on NGO Advisor.